Mens' shoes specifically designed for running. Running There are 89 products. F&B FTW 2: - Resistant and breathable mesh for well ventilated feet. 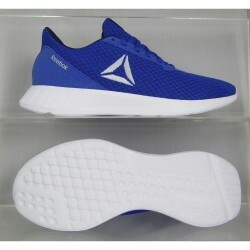 - Simple athletic design for moderate walk and everyday wear. - Astroride cushioning is supremely soft for ultimate comfort. - Beveled heel for enhancing the walking stride. - rubber pod on outsole strike zone for durability. - Flexible forefoot area to allow easy toe off. These men's running shoes have what it takes to help you go the distance.The seamless tri-panel upper helps keep you light on your feet without chafing. You'll love the adaptive midfoot webbing for it's lightweight support, and the outer lugs grip.